In first grade I took forever to pick out my first t-shirt design. I chose a really cute kitten sitting next to a sundae and I spelled out my name with matching fuzzy letters. I loved the way the heat-transfer smelled! 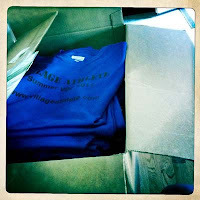 Over the years I've made fun t-shirts for families, vacations, teams and special events. We tried spray-on tie die this year at our middle son's birthday party (it worked great!). 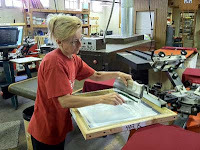 It was fun this summer getting a close-up look at the screen printing process. When I picked up my Village Athlete shirts, Steve from Sport Products gave us a tour. The shirts are placed on little holding platforms and then the screen design/frame is squashed down over the shirt. 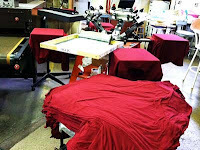 Then color is scraped/painted back and forth over the stencil-like cutout screen, leaving the desired print on the shirt. The shirt below took three applications of white in order to show up on the dark red shirt. Then the shirt rides along a conveyor belt and goes underneath an oven to set the design. 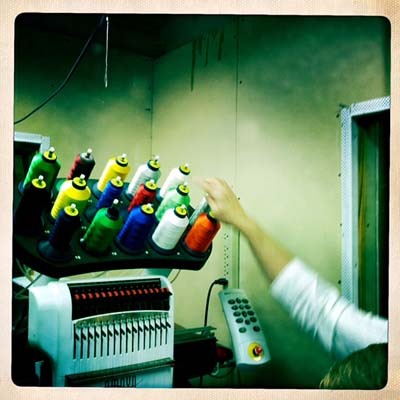 We also checked out the embroidery process. I forgot how many stitches per minute this machine is capable of, 1,500 maybe? I love the color and fabric of my shirts this year (blue shirts in box above). I intentionally kept the text subtle and basic. - Do you have a favorite t-shirt from your childhood or now as an adult? 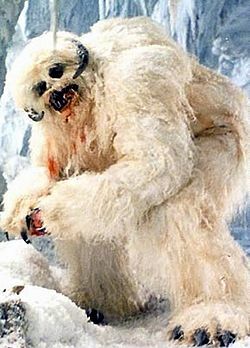 - I thought the ice-cave fuzzy guy from Star Wars was called a Wompa, but now I know it's a Wampa. Ferris, Donkey Kong & Fast Times of Summer!